Dr. Sabido has a deep understanding for the hardships many patients go through who are suffering from a chronic or debilitating medical condition. He and his staff believe that cannabis (medical marijuana) for many of these patients can be a safer and more effective alternative to traditional drugs and therapies if patients are guided by a knowledgeable and compassionate physician. The marijuana plant contains many chemical compounds that are used to treat a range of illnesses and symptoms. The term medical marijuana refers to using the whole, unprocessed marijuana plant or its basic extracts to treat symptoms of “approved” medical conditions. Any other debilitating condition that has failed conventional treatment and the physician feels the patient can benefit from Medical Marijuana. What Ailments Qualify For Medical Marijuana in Florida? Medical conditions of the same kind or class as or comparable to those listed. Dr. Sabido will enter a 60-day supply of medication on your first visit. We will automatically re-fill your prescription 2 times before your next visit. If the medication is not working and you need to make changes, you will need to make an appointment to discuss with Dr. Sabido. Medical Marijuana is available in inhalation and oral products. Inhalation (vape) quick onset and will last 3-4 hours. Orals – tinctures and capsules take effect in 1-2 hours and last 5-8 hours. Applications may be submitted online through the Medical Marijuana Use Registry, or mailed to the Office of Medical Marijuana Use. Our staff will assist you with the online process during your initial visit for an additional fee of $25. All applications must include a registration fee of $75, a passport photo and proof of Florida residency (i.e. valid Florida ID, driver’s license, voter ID, or utility bill with same name on application). Once approved, a patient or legal representative will then be able to contact one of the licensed medical marijuana treatment centers and fill the prescription. You will receive an e-mail from the State saying that you are approved (4-6 weeks) this will serve as your temporary ID Card. You will receive your physical card in the mail within 2 weeks of the e-mail. You can use your temporary card to fill prescriptions at the dispensary. WHEN DO I HAVE TO RENEW MY MEDICAL MARIJUANA ID CARD? It is required by the State of Florida to renew your ID card at least 45 days before the expiration date on your ID card every year. Do not renew your card before 60 days of the expiration date on your card; The Marijuana State Registry will consider it a duplicate and reject the application and assess a $35 fee when re-submitting your paperwork. The renewal fee is $75. 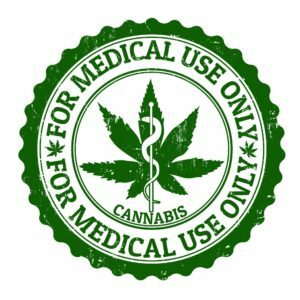 WHEN DO I HAVE TO RE-CERTIFY TO CONTINUE USING MEDICAL MARIJUANA? The State of Florida requires you to see your doctor for follow-up every 6-7 months to re-certify.